I finally got to take my son to the Dr Who Experience in the half term week. Lucky for us we managed to get in but it is advisable during holiday periods especially, to book in advance as it was sold out. The excitement builds when you first arrive in the foyer. There are many a fan dressed as Matt Smith which suggests he’s a very popular doctor. 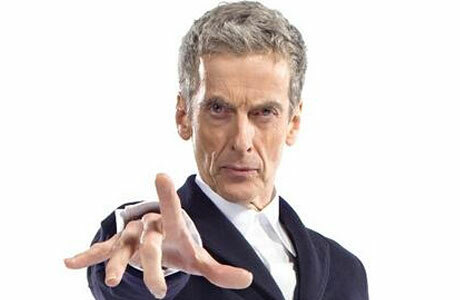 I have to agree but the 12th Doctor Peter Capaldi has turned me into a crazy fan. I’ve been a cruel Mum and let my daughter fall asleep on my lap because I couldn’t miss a second of the last few episodes. If you are a Dr Who fan I’m sure you’ll agree that the last episode was an absolute storm! We arrived early so took a trip to the shop located on the first floor. There is plenty of memorabilia you could get carried away spending. I especially enjoyed watching the video clip introducing the new Doctor. I visualise back to when his name was announced and remember thinking, who is Peter Capaldi? My son couldn’t decide what to buy so we popped to the cafe to have a drink. Whilst enjoying a cappuccino I spotted Matt Smith impersonators. I came across 4 on my last count. My son observed a penny machine that you see at fairgrounds but this particular one had a sinister look and was called The Smiler. Upon observation, I realised it had appeared in a series. This was a thrilling start to the experience as you had the sensation that you were being pulled into an episode straight away. As the memorabilia is updated regularly, you will get a different experience every time you go! Our time had come to take the Dr Who Experience Tour. You cannot take pictures at this point and I completely understand why. No-one should spoil the fun for others by posting on social media. I am not going to give away what happens because it would spoil the surprise. All I will say is that it’s interactive, fun, scary and some parts are 3D; this lasts around 20 minutes. My son is 6 and couldn’t look at one point. He just held on tight and closed his eyes. He had to blink… This gave me a nostalgic view back to my childhood and the tales I heard of grown men watching Dr Who and hiding behind the settee. I hope in years gone by he will remember his fun as a child and laugh at the fictional characters that scared him! After the interactive adventure you are able to take photos in the Exhibition Hall. Some of the memorabilia date back to the first ever series. The aliens and costumes are originals and are a real homage to the past. Any fan will love being a part of the set and scenery, recreating moments from their favourite episodes and being able to touch some of the actual props. Even the aliens from the current series are included! My son and I loved the adventure, If only I could really travel through time!